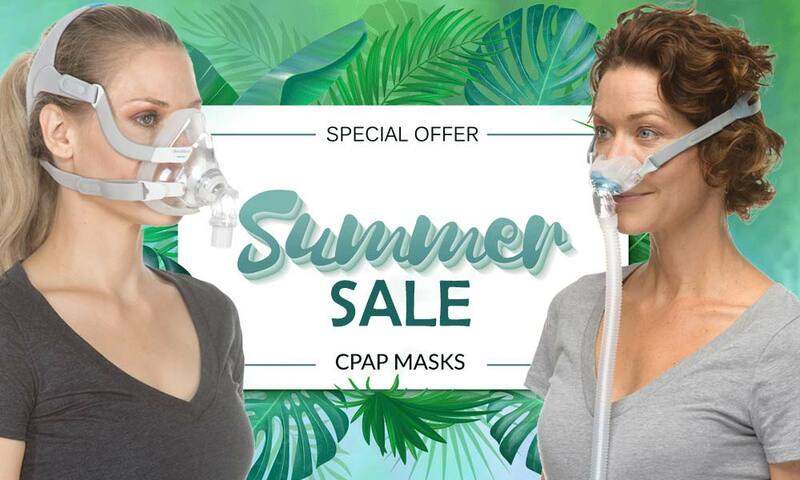 If you’ve tried a number of CPAP masks over the years but haven’t found one you love, look no further than the DreamWear ($109). 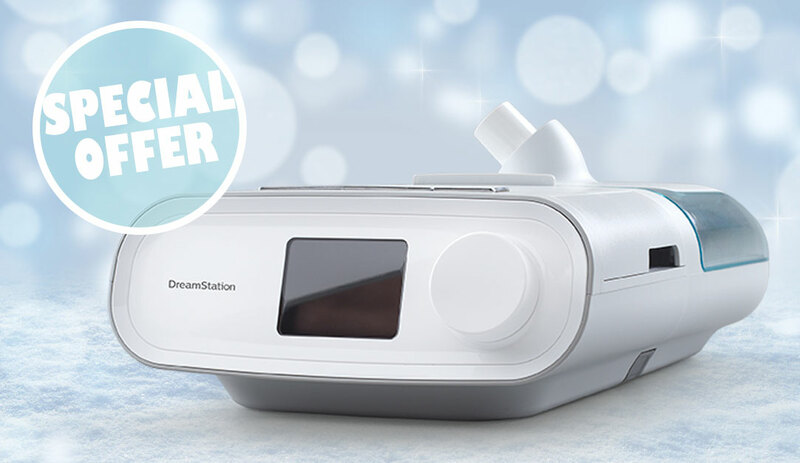 The DreamWear is the perfect solution for CPAP users who are looking for something smaller than a nasal mask but less intrusive than a nasal pillow mask. 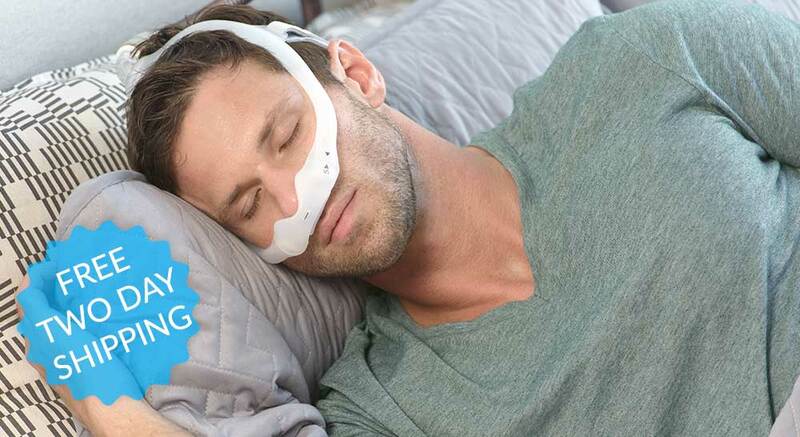 The innovative design makes it so comfortable you’ll forget you’re wearing a mask at all! Order now and get the DreamWear with FREE Two Business Day Shipping! Just enter the code FREETWODAY at checkout. What Makes The Dreamwear Different? 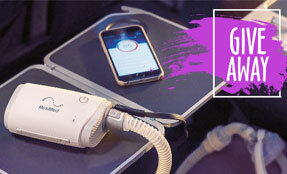 The DreamWear CPAP Mask system is a perfect choice – you’ll be glad you tried it. You can use the DreamWear sizing guide to find out what size cushion you need. Not sure if the DreamWear Mask is the right mask for you? Try our Mask Finder Quiz and we’ll tell you in four questions! To buy the DreamWear without a prescription, just add the DreamWear Mask Without Headgear and select ‘Add Headgear’ from the dropdown menu. 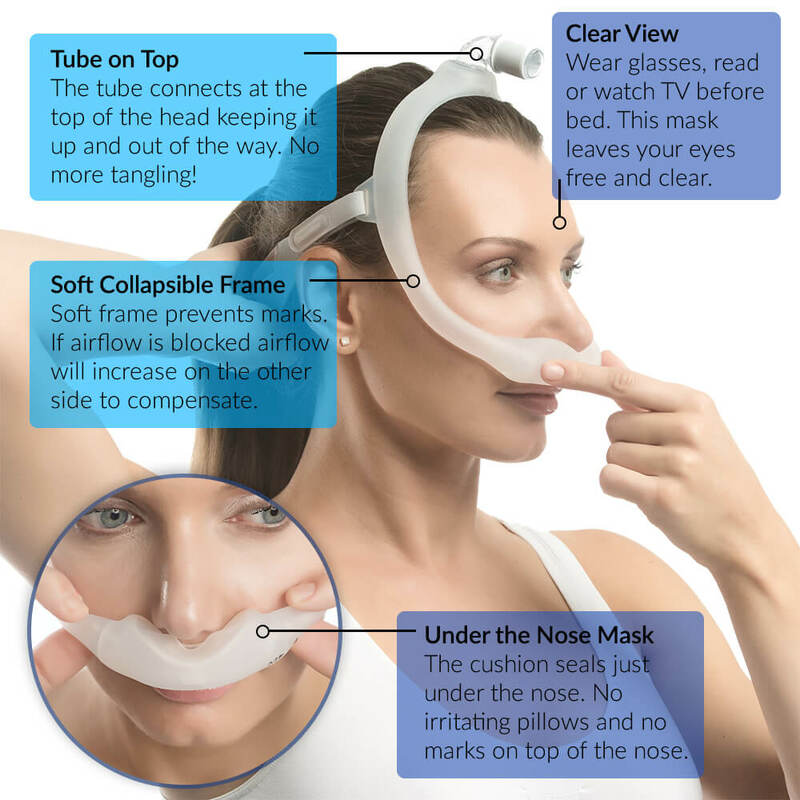 What Are CPAP Users Saying About the DreamWear Mask? This is the best mask I have had the pleasure to use. I would recommend this mask to everyone. I have used every type of mask over the past 13 years. This is my favorite one ever. No tube around my face! No tights straps going around my head and waking up with a headache. Unless another mask turns my eye, this is my forever mask. I am getting ready to order my second one. Now is the perfect time to try the DreamWear Mask. Not sure if the DreamWear is the right mask for you? Try our Mask Finder Quiz and we’ll tell you in four questions!